Sound familiar? That’s PJ O’Rourke, a world-renowned talking head and published author. He’s on the show today to talk about politics and why humor is always the best policy–especially if you want to really make a difference. And the same applies to the way you run your business, so be careful! If you take yourself too seriously then you are only going to end up missing out on the important, finer details, because even in business you are still involved in politics one way or the other. Maybe you’re the member of a committee, maybe you design your staff meetings as a form of democracy – either way, there is an election process, a conversation, and a show of hands that can represent your decision or point of view. PJ’s latest book, Thrown Under the Omnibus, comes out October 6 and it touches on these themes. To find out more about PJ and hear more of his work, head over to his column at The Weekly Standard. 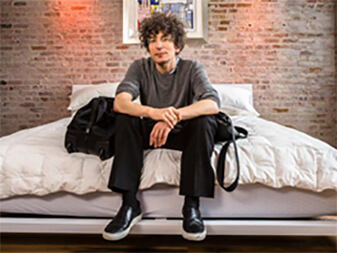 If you enjoyed this episode of The James Altucher Show, please leave a review or a rating on ITunes. I read every review and it helps to make the podcast better.